Conco Energy Solutions’ Frank Spencer asked whether the Minister would consider signing a Ministerial Determination to enable the small- and medium-sized embedded generation projects currently seeking generation licences from the National Energy Regulator of South Africa to proceed. It is estimated that the regulator has licence applications for projects with a combined capacity of 2 000 MW. 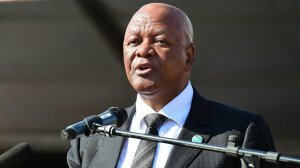 In response, Radebe requested a written motivation, but stressed he would consider such a determination if the projects were able to alleviate the current power crisis. The Minister was less forthright, however, as to whether the updated IRP would be Gazetted before South Africa’s May 8 election. The document had been revised to incorporate comments received during the 2018 public-participation process and was being currently being canvassed at Nedlac. He stressed there would be a major role for IPPs and municipalities in the provision of new generation capacity over the coming years, adding that Eskom alone could not fund the R1-trillion required to meet South Africa’s generation, transmission and distribution infrastructure needs to 2030. Earlier this year, President Cyril Ramaphosa announced Eskom would be unbundled into separate generation, transmission and distribution entities in line with the policy vision provided by the 1998 Energy White Paper.